A basic principle when securing a software installation is “install with maximum privilege requirements and run with minimal”. In practice this equates to having software being installed and binaries/executables etc. owned by the root user, whilst the services themselves are actually run under a minimally privileged (and ideally dedicated) service user account, typically postgres in a PostgreSQL installation. Data files, and any other files that need to be modified by the software in normal operation are also owned by the service user account. Let’s look at the running software first. Postgres (which will in fact refuse to run as root), is a server process which is often running on a network port that is accessible from other nodes on the network. Of course, we should limit access as much as possible to only those nodes that need access using both a firewall (even simple iptables rules will work), and Postgres’ pg_hba.conf access control file, but even with those measures in place, it’s possible that a determined attacker (let’s call him Zero Cool) can still gain access to the port the database server is running on. Once our arch-nemesis Zero Cool has access to the database server port, he needs a way to escalate his attack. This may involve exploiting an unknown security issue in Postgres itself (as with any software, we hope there are none but we’re kidding ourselves if we think it’s totally secure), or it may be that he’s used other techniques such as social engineering to learn a users credentials. If Zero gains “regular” access to Postgres, then he will be subject to any security measures (access control lists, RLS policies etc) that limit the scope of what the user account he’s used can access/delete/update/whatever. If the user account has superuser privileges or access to un-trusted procedural languages, or if Zero gained access using a lower-level exploit that allows him to execute arbitrary code in other ways, then he will be able to wreak chaos at a lower level in the system, such as overwriting files on disk. However - and this is the important bit - assuming there are no exploits in the Operating System that he can leverage to gain further privileges, his chaos will be restricted to things that the service account under which Postgres is running can do. In a well secured system where an unprivileged account like postgres is used, that will be limited to damage to the Postgres data files and other files (or processes etc) that user can modify or control. If Postgres were running under a privileged account like root, Zero would have pwned (in script-kiddie parlance) the entire system at this point! Now consider the case where the Postgres software files were also owned by the postgres user. Zero would not only be able to affect files and processes owned by the service account, but would also be able to modify the software itself, allowing him the opportunity to add backdoors for future access or other malware such as spyware etc. In the case of software that is started as root (even that which later drops those privileges or switches to another user account for normal operation), this could be exploited to gain even easier privileged access at a later time. This is why we want our software to be installed and owned by a high privilege user such as root and run as a low privileged user such as postgres. Doing so ensures that even if Zero manages to crack his way into Postgres and potentially access or modify data, he cannot modify the software or other aspects of the host system and thus has a much harder time further escalating his attack. The pgAdmin Development Team are pleased to announce the release of pgAdmin 4 version 1.6. This release of pgAdmin 4 includes over 70 bug fixes and a dozen new features. For details, please see the release notes. Significant performance improvements on Windows, massively reducing initial load time and improving UI response for the vast majority of users during testing. 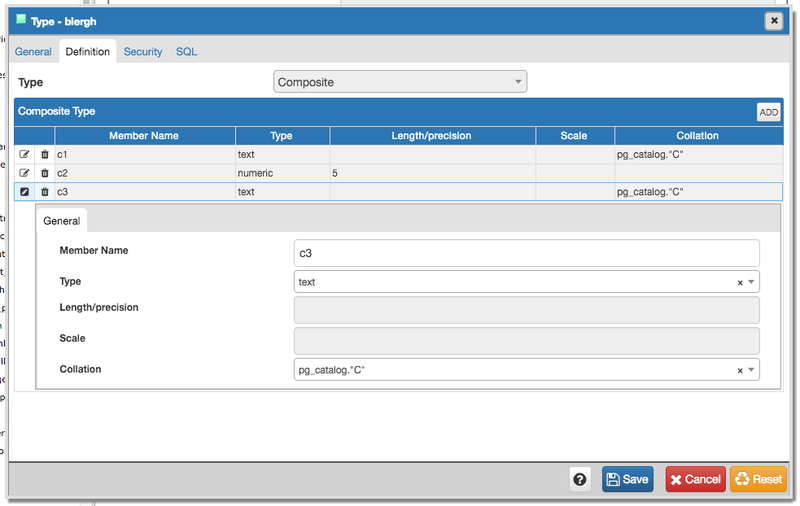 Enhancements to the Query Tool enabling the viewing of large query resultsets far more quickly. For example, a simple test query with 96K rows rendered results within 1 second vs. 22 seconds in pgAdmin III during testing! A major rewrite of the Query History tab allows browsing of queries executed in the query tool with full details including the entire query, in a much nicer user interface. The Query Tool's Results Grid has been overhauled with a new, sleek look an feel supporting selection of arbitrary rows, columns or blocks of cells with full copy support and column sizing retention. The Dashboard tab can now be closed if desired, to minimise query traffic resulting from graph updates. For more information, checkout the online documentation, the screenshots, and of course the download page. We were happy to find that our plan worked - better than expected in fact - when Pivotal started contributing heavily to the project, bringing new skills and techniques that have enabled us to improve both pgAdmin and the way we design and develop it even further. This release of pgAdmin is the first to include major changes in functionality developed by the Pivotal team, which you can see in the overhauled Query Tool result grid UI and the enhanced Query History tab. Today, community members, EnterpriseDB staff and Pivotal staff all collaborate to make pgAdmin better and better. Look out on the mailing lists for ways you can get involved, by joining periodic meetings we hold, participating in user focus sessions, or contributing to the project in any other way that may interest you. As you may know, many of us from the pgAdmin team have been hard at work on pgAdmin 4 for some time now. pgAdmin 4 is a complete rewrite of pgAdmin (the fourth, as you may guess), the previous version having reached the end of it's maintainable life after 14 years of development. Work on the project began slowly, almost two years ago, however the team at EnterpriseDB have ramped up the development pace over the last few months. Right now, we're approaching alpha-readiness which we expect to be at within a few weeks. Support for unsupported database versions has been dropped. We haven't re-implemented support for some object types that no one really used in the tool before - for example, operator classes and families. We haven't (yet) reimplemented some of the tools that didn't work so well in pgAdmin 3, such as the graphical query builder or database designer (which was always disabled entirely by default). The Query Tool and Edit Grid have been merged into a single tool. Over coming releases we'll be improving the functionality further to allow in-grid updates to be made to results from arbitrary queries (where a query is determined to be updateable). For now though, updating is allowed when pgAdmin knows the data source is a single table with a primary key. The user interface is more flexible than ever, allowing tabs to be docked and re-arranged in more ways than previously. We've spent time redesigning some of the UI paradigms in pgAdmin 3. Gone are the list controls with Add/Remove buttons, replaced with what we call sub-node grid controls that will allow in-grid editing of key values, with more detail available when needed in expandable rows. We also spend time thinking about how to make it faster to use pgAdmin, by minimising the need to switch between dialogues, using searchable combo boxes and more. The UI is much more attractive, making use of control groupings and expandable regions to make things more readable. The main user interface, showing the properties of a function. Setting the ACL on a function. Adding a member to a composite type using the sub-node grid control. 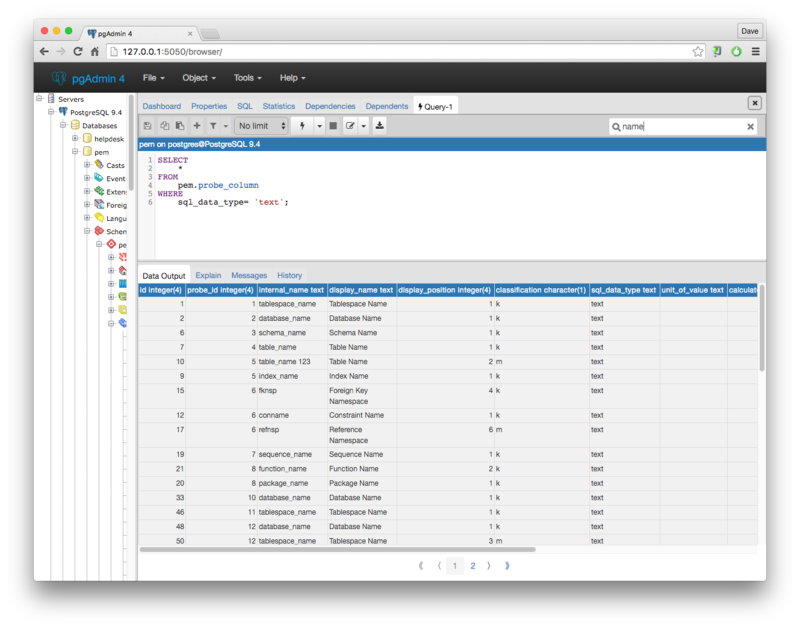 The Query Tool and Data Editor. Of course, there are also community members who are starting to contribute fixes and other improvements, such as Thom Brown (on his own time, not EDBs), Seçkin Alan, Ronan Dunklau and Prasad Somwanshi, all of whom (along with others I may have missed) deserve thanks. If you want to help, you can checkout the code and start playing with it. We're not yet feature complete (for example, the Tables node in the treeview is still in development), but we're pretty close. Feel free to try out the code, and report or better yet, fix any bugs or issues you may find. If you wish to start working on new features that is also welcome, but please do email the hackers list first to ensure your work is not something that's already on our project plan! If anyone would like to talk more about pgAdmin 4, I'll be at PGConf.US next week - the organisers know me well and should be able to help you find me for a chat or demo. See you there! I first discovered PostgreSQL in 1997. I was working at a social housing provider in the UK where, at the time, we were running Informix SE and Pick databases. We wanted to start building in-house web applications for managing additional areas of the business. There were no useful interfaces for Pick that could be used with any of the web technologies available to us at the time and the licensing model for Informix and its ODBC driver was prohibitively expensive, so I started looking for alternatives. After spending some time researching mSQL and MySQL, I eventually found PostgreSQL, which seemed to offer everything we needed—a SQL-based DBMS with ODBC and C interfaces, a liberal license, a rich set of features, and a vibrant community supporting it that was responsive to bug reports and open to feature requests. My colleagues and I developed a number of applications using PostgreSQL in the following years and the database became a critical part of our business. We had applications written in PHP for the web as well as Visual Basic for the desktop users. However, it was early on in our journey with Postgres that, as a Windows shop (on the desktop at least), we found ourselves wishing for a good graphical management tool for the database. At the time, the only option was pgAccess, which was a basic tool written in TCL/TK that was not easy to get to work on Windows. So I decided to write my own in Visual Basic. The first version was never released to the public and was modeled on the pgAccess design. 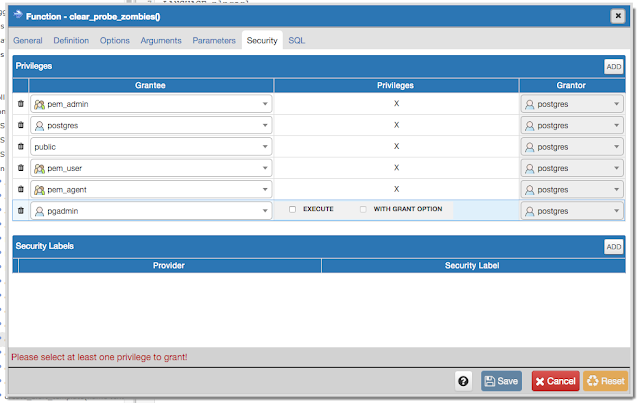 Called pgManager, it was quickly abandoned as we found the UI to be restrictive and, well, not overly usable. The second incarnation was pgAdmin, which was redesigned from the ground up. It was released as an Open Source project and quickly became a popular tool amongst Postgres users (which was extremely gratifying as it was my first Open Source project). Some years later, we once again found ourselves suffering due to the way the application had been designed. I shut myself away for a couple of weeks whilst my family were away visiting relatives in Scotland and wrote pgAdmin II, using a far more structured and maintainable design that implemented a much more usable user interface. I was particularly proud of the design and cleanliness of that code, but by 2002, we needed to start over again. This time it wasn't the application design that was holding us back, but rather the choice of technology. Visual Basic didn't handle internationalization or localization well, nor did it run on platforms other than Windows without the use of WINE, under which it was never particularly stable. The hard decision was made to rewrite everything again, this time using C++ with the wxWidgets framework. pgAdmin III looked much like pgAdmin II, but it solved all of the problems our (in particular) Japanese Linux-using friends were experiencing. 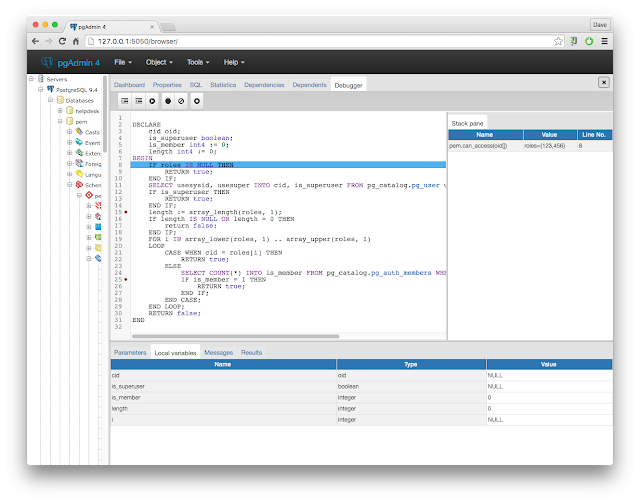 Now in its third incarnation, pgAdmin remains the most popular Open Source GUI tool for managing Postgres. I continued to work at the housing provider and make good use of Postgres until 2007, at which time I moved to EnterpriseDB so I could concentrate on my Postgres work full time. At EDB, not only do I work on our own tools, I also continue to contribute to the PostgreSQL community in various ways. I have the privilege of having full support of the management at EDB for my community work, allowing me the freedom to work on whatever I need to in order to fulfill my community roles on the core team, the PostgreSQL Europe board, and of course, pgAdmin. 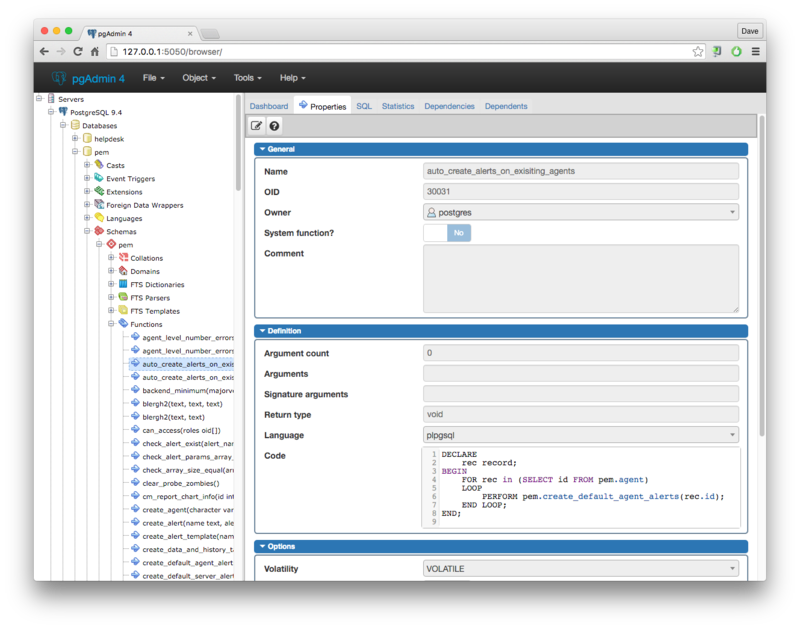 One of the products I’m responsible for at EDB is Postgres Enterprise Manager, which has a fat client interface that’s based on pgAdmin. This has allowed us to put more effort into the maintenance of pgAdmin, with members of the PEM team at EDB regularly contributing code, fixing bugs and reviewing the patches from elsewhere. Ashesh Vashi has even been made a committer for his efforts. Despite the hard work over the last 12 or so years, the pgAdmin developers have come to the conclusion that there is limited life left in the current code. Aside from it being extremely hard to find C++ developers these days, we’ve also run into numerous difficult-to-fix bugs that can be traced back to issues or design choices in our code, the underlying wxWidgets framework, and some versions of GTK (the choice of which, we typically have no control as we inherit GTK from the users’ Linux distribution). What’s more, the world is shifting to a web based model these days. Cloud deployments are becoming more widely used, as well as simple instances supplied through hosting providers. Users are getting used to being able to pickup their laptop or a tablet and do whatever they need to do without having to install software – open a browser, read and write email, build a spreadsheet or create a database! Consequently, we're now starting to design pgAdmin 4. The plan is to build a single Python-based pgAdmin that users can either deploy on a web server or run from their desktop. It’ll be designed to “live query” databases rather than query and cache schema details like the current implementation (which was designed with use over a dialup connection in mind! ), and we’ll be making the application much more task focused (and therefore usable) than it is at present, as well as implementing some of the oft-requested features that are hard to do in the current code such as direct data editing in the query tool and tabbed query windows. The new code will also be extensible from the ground up, allowing support for new object types or functionality to be simply “dropped in” and auto-discovered at runtime. We're still in the proof of concept stage at the moment though, so there's nothing available to download just yet. But stay tuned as work kicks up a gear over the next 12 months! PostgreSQL Conference Europe 2012 - 3 weeks to go! There are less than four weeks until this years PostgreSQL Conference Europe, to be held at the Corinthia Hotel, Prague, organised by PostgreSQL Europe. This years event is shaping up to be our best ever, with a higher rate of attendee registrations than we've ever seen before, a bumper crop of talks from PostgreSQL users and contributors from around the world, and a keynote presentation from well known industry veteran, renowned author on all things SQL, and one of the original authors of the SQL89 and SQL92 standards, Joe Celko. For more information on the event, visit the conference website. Joe Celko - A day of SQL with Celko: How often does an opportunity to learn SQL from the master come along? Not very often! Not to be missed if you're new to SQL or want to polish up your skills. Bruce Momjian, Devrim Gunduz (EnterpriseDB) - Mastering PostgreSQL Administration: Hone your mastery of PostgreSQL, learning from Bruce, one of the project founders, and long term contributor and RPM maintainer, Devrim. This day long session starts with the basics, moving into more advanced administration and management topics. Greg Smith, Peter Geoghegan (2nd Quadrant) - PostgreSQL Performance Training: Renowned PostgreSQL performance expert Greg and developer Peter spend half a day showing you how to get the best performance from your database servers. Dimitri Fontaine, Simon Riggs (2nd Quadrant) - PostgreSQL Replication Training: PostgreSQL developer Dimitri and committer and author of features such as hot standby and point in time recovery, Simon, spend half a day discussing the streaming and synchronous replication, as well as failover and monitoring options available to PostgreSQL users. Pavel Stehule - Implementace uložených procedur v PostgreSQL: Veteran contributor to PostgreSQL's stored functions languages Pavel shows you how to write stored procedures in PostgreSQL. Half day, presented in Czech. Tomas Vondra (GoodData) - Čtení exekučních plánů: Long time contributor Tomas teaches the finer points of reading query (EXPLAIN) plans. Half day, presented in Czech. Following the training sessions, we have three days of talks in three different rooms, with something for everyone - check out the conference schedule for details - and as always there will be social events hosted by our sponsors, and the hallway track to meet and chat with other PostgreSQL users and developers. Convinced? Of course you are. Head over to the registration page and book your place now! For the last few years I've organised a by-invitation meeting of the most active developers in the PostgreSQL community the day before PGCon's sessions start in Ottawa. This is undoubtedly the best time of the year to do this as the vast majority of PostgreSQL hackers attend this event - many only attend local events for the rest of the year. As you can imagine, figuring out how to keep the meeting productive is not an easy task. Opening it up to anyone to attend is not really an option unfortunately, as we would be unlikely to be able to provide a suitable conference room for large numbers of people due to the cost of the space (which really needs to be comfortable as we'll be sitting around a table for nine hours or so) and the food. Budget aside; having too many people in attendance makes it very difficult to have a productive meeting, a problem we believe we had last year when we had our highest number of attendees to date (around 30) and what many felt was our least productive meeting to date. 1) We need to spend more time fine-tuning the agenda. We try to leave the agenda up to the attendees - after all, it is their meeting. However, there is a tendency to include items that haven't really been thought through in enough detail in advance to make good discussion points. This year we're working to ensure the agenda contains only items that have had some amount of thought given to them already, but are yet to be resolved. Ideally, we suspect many of these topics will be things that have been discussed on the mailing lists already, but haven't come to any sort of conclusion. That happens from time to time, and face to face discussion often helps reach consensus on the way forward. What we don't want to discuss are the ideas that we all have after a couple of drinks at the pub, scribbled on the back of a beer mat, added to the agenda and then forgotten about. Those ideas are best saved for the evenings of the conference (with more beer)! 2) We need to reduce the number of attendees at the meeting. This was the really hard one. We decided that we should reduce the number of attendees down from last years 30 to maybe 20 - 25. Two of those people are Josh Berkus and myself who are primarily there to take notes and chair the meeting respectively. The rest of the attendees come from a variety of backgrounds typically - committers, active developers, future (hopefully) active developers, past developers and senior staff from Postgres-friendly companies. This year we decided that the criteria for invitations would be "has this person been a significant contributor to PostgreSQL 9.2"? We've applied that test to all the proposed attendees, and whilst many people who received invitations are amongst the normal crowd, unfortunately it does mean that some people who have attended in the past were not sent invitations this year. If you're one of those people, please accept my apologies - hopefully this blog post will clarify why that is the case. Of course, it is possible we have overlooked inviting people who have made significant contributions to the upcoming 9.2 release. If you're one of those people, please let me know if you would like to attend. Regardless of whether or not you'll be at the developer meeting dear readers, I do hope to see you in Ottawa in May. Back at the tail end of November, the PostgreSQL sysadmin/web team successfully migrated the PostgreSQL website to a new platform, based on PostgreSQL, Django, Lighttpd, and Varnish, to replace the old somewhat complex and messy PHP platform used in the past. Functionally and visually the website is almost identical to what it was, though the behind-the-scenes management interface is now vastly improved, as is the "Your Account" section which now offers users much more control over their submissions like news and events etc. One other change that went largely unnoticed however was in the downloads section of the website, specifically the FTP area. This is a web interface over the content on the PostgreSQL FTP site, ftp.postgresql.org, that gives users a nice way to browse the files and directories on the site. On the old website, when the user clicked to download a file they would then be taken to a page of flags where they could select a mirror site to download the file from. The mirrors were all third party servers over which we had no control, aside from an automated system to ensure we only listed those which had content which was no more than 48 hours out of date. This arrangement made sense years ago when bandwidth was more precious, however with the bandwidth available to us these days it's really just clunky and inconvenient for users to have to choose one of 75 flags to reach a server that may not be entirely up to date. The user has a much slicker experience when downloading, both in terms of the workflow, and often the speed of downloads (because some of the old mirrors were much faster than others). We can push out files to the download servers in minutes, rather than days. We can collect meaningful statistics to help us understand what users are downloading. We can automatically (and invisibly) disable download servers in the event of problems, within minutes. The site can be accessed at ftp://ftp.postgresql.org/, rather than using one of the individual mirror hostnames we used in the past. Because there are no third party mirrors, there are no inconsistent paths to the content (one mirror in the past may have had content under /pub/mirrors/postgresql/ whilst another may have used /u/postgres/). We've also opened up RSYNC access to all users, where previously only registered mirror sites could rsync the downloads from us: rsync://ftp.postgresql.org::pgsql-ftp. Because there are lots of links to files on the old mirror network on the web, we've left the old mirror hostnames in place for the time being (though they are no longer being monitored), however they will be phased out over time. I'm a PostgreSQL hacker and core team member, and Chief Architect, Tools & Installers at EnterpriseDB working mainly on installers and admin tools for Postgres. No time for blogs? I also tweet from time to time.